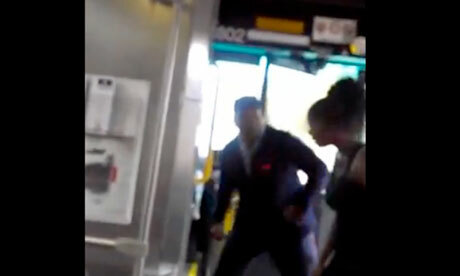 My twitter timeline was popping off yesterday morning/afternoon when a video footage of a Male bus driver giving a young female passenger an uppercut, leaked onto the famous American website - WorldStarHipHop.com. The incident which happened in Cleveland, America had the social network site buzzing as per usual. Some people agreed with the bus drivers decision, others didn't. But now according to Fox News the bus driver who has been working for RTA Bus Company for 22 years has been suspended. The video footage (below) shows us that the female passenger was running her mouth to the bus driver, and during the incident you can see some of the other passengers trying to prevent anything else from happening. After a passenger on the bus shouts "That's a female", you hear the bus driver who has been identified as Artis Hughs, 59, shouting "I don't care... She wants to be a man, I'm going to treat you like a man." The victim who has been identified as Shidea Lane, 25, and the bus driver did not file any charges.